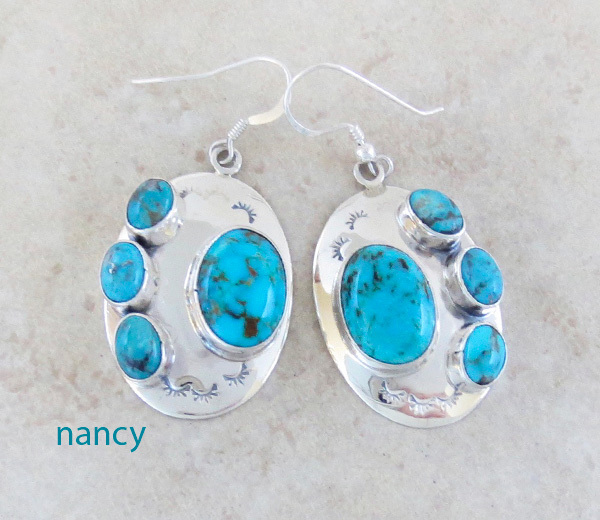 These fabulous large Navajo made earrings were hard to photograph because the shiny silver is so reflective. 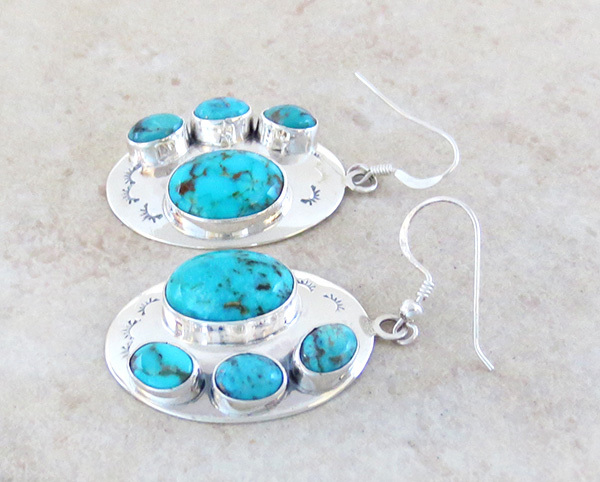 They each feature 4 turquoise stones that are a bright sky blue with dark gold. There's a bit of fine stamp work on the silver surrounding the stones. 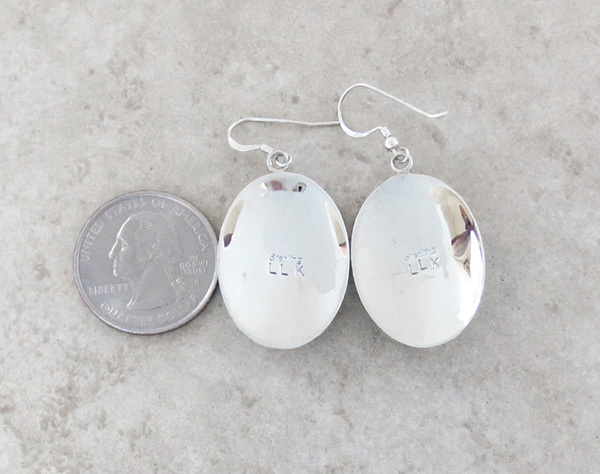 They measure 1 1/8" tall by almost 7/8" at their widest point. Total weight: 10.4 grams on my scale.